Just a short jog from London’s Olympic Stadium, Vastint UK is progressing its 26-acre Sugar House Island development. 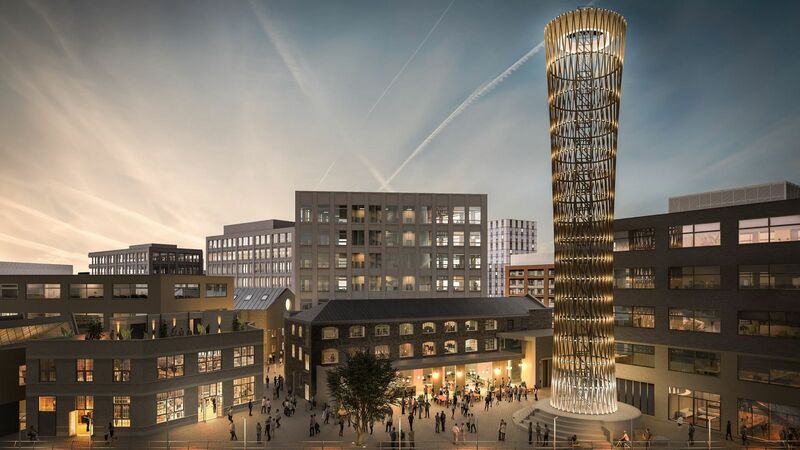 The 100,000 sq ft first phase of the project involves the transformation of eight historic and new office buildings which are targeting occupiers from the creative industries. The Dane’s Yard quarter fuses the industrial heritage of a Conservation Area with clean and modern designs into a sensitively-restored, contemporary hub in which small and medium-sized businesses can thrive. Sugar House Island will eventually create around 624,000 sq ft of commercial space and 1,200 homes. To introduce variation into the look and feel of the buildings as well as its public space, the developers have engaged nine architects to design different facets of the development. Colliers International and JLL Unlimited are the letting agents for Dane’s Yard which is due for completion at the end of this year.